Eland Cables is an international supplier of electrical cables, rail cables and cable accessories. 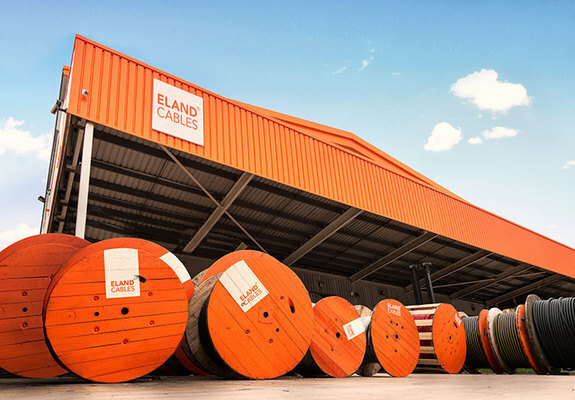 Its extensive cable range and focus on product quality make it the first-choice cable supplier for world-leading organisations. The first, our Traffic Signal Cable to BS 6346, is predominately used to interconnect signal equipment within permanent traffic light systems, but is also suitable for other applications that require high core configuration and mechanical robustness. Eland Cables is once again strengthening its railway telecoms portfolio, with 64 new Network Rail approvals. Eland’s Armoured Cable range is comprised of SWA Cables, 11kV Cables, and 33kV Cables, which are characterised by their Aluminium or Steel Wire Armoured layers, that gives protection from mechanical damage. Eland Cables’ extensive range of rubber flexible cables include rubber trailing cables such as H07RN-F, and H07BN4-F, and Curly Flex, in TPR, PUR and PVC varieties. Eland’s range of welding cables includes H01N2-E, H01N2-D and 0361TQ. Eland’s range of high temperature cables have a variety of different applications. Tri-rated cable, for example, is used for panel wiring and switchgear, while Silicone Cable is used for industrial applications such as refrigeration and furnaces.